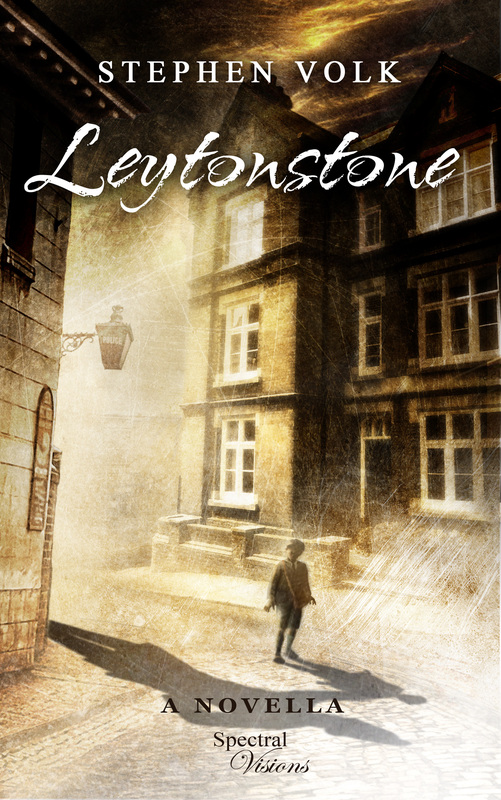 Stephen Volk, ‘Leytonstone’ (2015) – What are you reading for…? When I was a child in the late 70s and early 80s, I was obsessed with a book called The Usborne Guide to the Supernatural World. 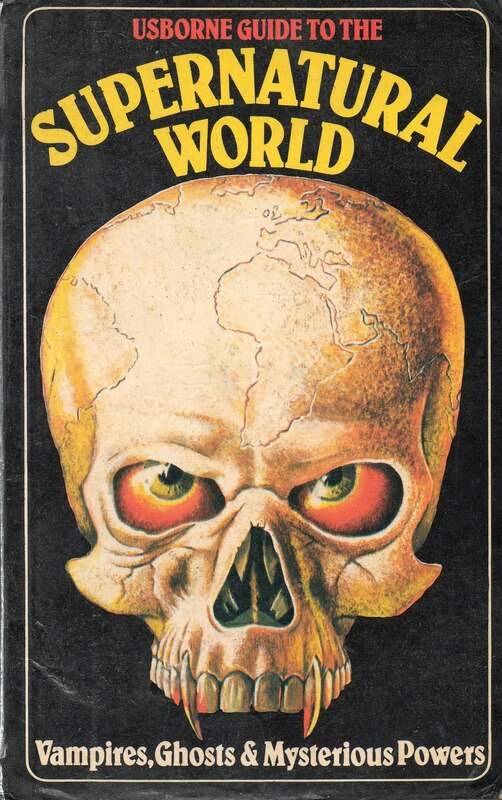 I never owned a copy but would regularly check it out of my local library, taking it home to pore over the evocative (and, for a children’s book, somewhat gruesome) illustrations it contained. Now, over 30 years later I’m trying to acquire it again; and looking online, I was delighted to see that someone had gone to the trouble of scanning several pages. What surprised me was just how evocative and eerie these images still are – looking at them for the first time in over three decades, I felt the hairs rise at the nape of my neck, and my stomach start to churn again. Once again I was seven years old, reading in horror and fascination about 17th century French wolf boy Jean Grenier, or Serbian vampire Arnold Paole. But what does all of this have to do with Stephen Volk’s Leytonstone I hear you cry? Leytonstone is the follow-up to last year’s wonderful Whitstable, a tale of an elderly Peter Cushing being called upon to fight the very real forces of darkness in his home town. Hopefully my opening paragraph is an illustration of how vividly the fears we develop in childhood stay with us – and how much they can influence as adults, even if we are not entirely aware of them. Leytonstone is the story of a young Alfred Hitchcock – ‘Fred’ to his mum and dad. It uses as its starting point an unnerving anecdote that Hitch told through much of his life – how as a child his father took him to the local police station, where Hitch was locked up for several hours as punishment for some unspecified crime. Volk takes this fertile tale and develops it with great sensitivity into a much more resonant story. The novella opens with young Fred being locked in the police cell – not just for a few hours but overnight – a situation which quickly becomes the stuff of nightmares. Feeding the young boy’s terror, the policeman overseeing the lock-up turns the screw on young Fred, at one point convincing him that the cell next door houses Jack the Ripper himself. Fred spends a sleepless calling out for his mother, and is overcome with relief when his father arrives to collect him the next morning. This opening is impressive enough, but what Volk then does is show us the ripples, the unexpected consequences of this act, not just for Fred but for his friends and his parents. Especially impressive is the way in which Volk portrays the young boy’s viewpoint; Fred is obviously very bright, but also baffled by the adult world, and the half-truths he learns about it, from school, his friends and the environment around him. It is Fred’s attempts to fit into this adult world – ‘to become a man’, like his father – that lead to the more sombre events of the last quarter of the novella. In this section, the dank environment of the police cell takes on a whole new meaning – not a place for the incarceration of criminals, but rather the scene of the crime itself. Studded through the novella, for anyone paying attention, are some lovely images which project forward and suggest several of Hitchcock’s later films. There is the obsession with voyeurism and watching, which reach their apotheosis in 1954’s Rear Window (a mini version of which Fred plays out; using his binoculars just like L.B. Jeffries does, he watches a girl from the local Catholic school return home, climbing the stairs to her parents’ top floor flat) and 1960’s Psycho (referenced in a spy hole from the boys’ toilets at school, which looks into the girls’ lavatory next door). Read Leytonstone and you’ll find yourself – as I did – looking out for these little nuggets, and laughing in surprise when you recognise in them Hitchcock’s later film oeuvre. On a personal level – and once again harking back to my own youth – I was delighted to see Volk make use of the ‘severed finger in a matchbox’ trick. I used to love pulling this as a child, especially the bit where you got someone to poke the finger, and it suddenly wiggled (the finger, of course, is one of your own, inserted through a hole in the bottom of the box), making them jump out of their skin. I’d forgotten all about that trick, but was delighted to be reminded of it. Leytonstone is a daring, chilling, beautifully written piece of work, and of such a length that you could polish it off in one evening. If this has wetted your appetite, you’ll be pleased to hear that it will be available from Spectral Press early in 2015, and is already available for pre-order here. I’m very grateful to Simon Marshall-Jones at Spectral for providing me with an advance copy, and am privileged to have been given an early preview of such an assured and evocative piece of work. There has already been talk of a third novella to follow Whitstable and Leytonstone, and I for one can’t wait to discover which dark master will complete Stephen Volk’s remarkable trilogy.